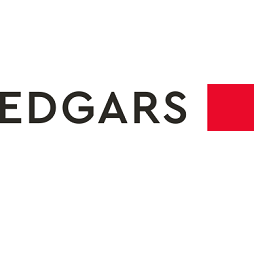 Welcome to the Edgars website at https://www.edgars.co.za. The website is owned by Edcon Limited ("Edcon"), registration number 2007/003525/06 ("Edcon"). Edcon provides the information contained on this website and the pages comprising the website ("Website") and advertises and sells the products to you, subject to these Terms and Conditions. Please read these Terms and Conditions carefully and should you have enquiries, please email [email protected]. These website terms and conditions ("Website Terms") apply to your use of the Edgars website at https://www.edgars.co.za (the "Website"). You must read these Website Terms carefully, and we recommend that you print and keep a copy for your future reference. By accessing, browsing, using or registering with the Website, you confirm that you have read, understood and agree to these Website Terms in their entirety. If you are not in agreement with the Website Terms, please discontinue usage of this site. Edgars has taken all reasonable steps to ensure that each product described or depicted on this website and any other information (such as pricing) displayed on the website is current, complete and accurate. However content errors may occur. For this reason and if the law allows it, the information displayed on our website is provided without any guarantees, conditions or warranty as to its accuracy. Some descriptions or photographs of products and packaging may be of a generic nature and not specific to the particular product you wish to buy. If you are uncertain about information on a product advertised on this website, please send an email to [email protected] and we will gladly assist you. All queries will be responded to within 2 working days. As an unregistered user you will be able to browse the products displayed on the website. If you do not have a username and password you will be required to register on the website. Registration requires filling in a short form which will create login details. Password/Account Security Consumers are responsible for maintaining the confidentiality of their password or account and any activities that occur under your account. Edgars shall not be liable to any person for any loss or damage which may arise as a result of any failure by you to protect your password or account. To the extent permitted by applicable law, Edgars disclaims all representations and warranties, express or implied, that content or information displayed in or on this Website is accurate, complete, up-to-date and/or does not infringe the rights of any third party. The views expressed in user generated content are the opinions of those users and do not represent the views, opinions, beliefs or values of Edgars or any of its group companies. External links are provided for your convenience, but they are beyond the control of Edcon and no representation is made by Edcon as to their content, source or any risks that may incur through linking to other websites. Use or reliance on any external links provided is at your own risk and we accept no liability in respect of such use. When visiting external links you must refer to the external terms and conditions of use. You may not link to this website, in any manner, or frame any content of this website in any other manner or otherwise use the content without the express prior written permission of Edcon. Only you and Edgars shall be entitled to enforce these Website Terms. No third party shall be entitled to enforce any of these Website Terms. We may in our sole discretion at any time suspend or terminate the operation of the website without prior notice to you and without the need to give you reasons for such termination. Edcon shall be entitled to cede, assign and delegate all or any of its rights and obligations in terms of these terms. balance will be transferred to a physical gift card. We may withdraw or suspend from sale any Product displayed on the Website, either temporarily or permanently, at any time. Edgars Online will not be liable to you for any loss you or any third party suffer as a result of a withdrawal or suspension of sale of a particular Product.